Product Consists: Bunch of 10 Red Roses With Matching Ribbon Bow Tied along with 1/2 kg Round Shape Vanilla Cake. 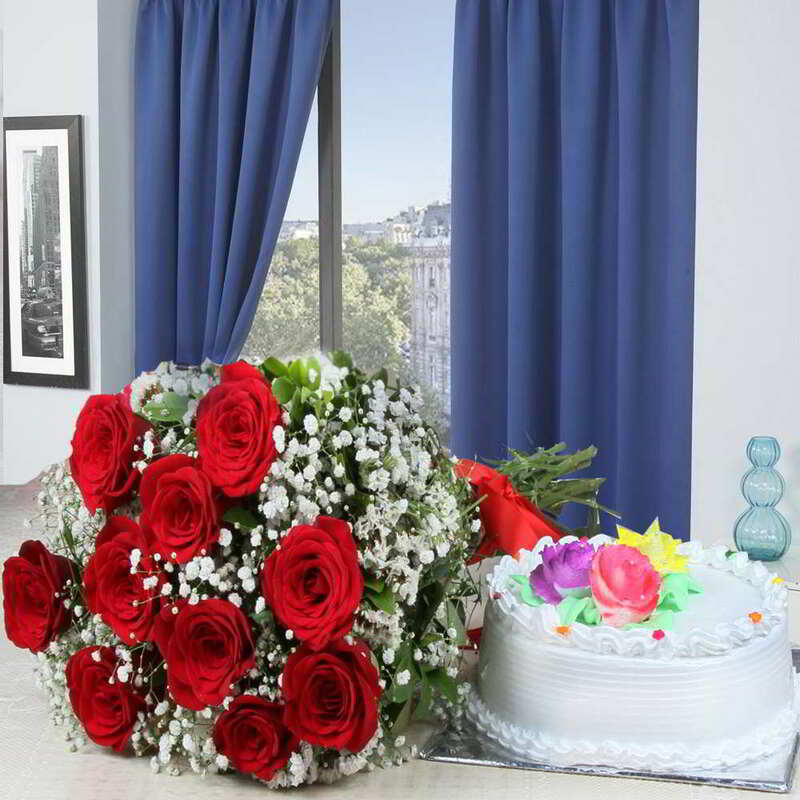 Make your grand romantic gesture truly memorable. 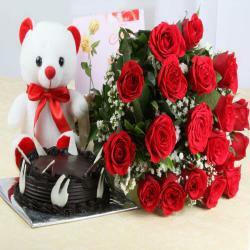 Express your love and affection in a wonderfully elegant way with this beautiful gift arrangement. 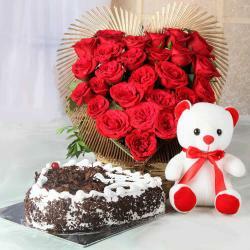 Giftacrossindia.com brings to you a very special gift combo which is just perfect for any occasion. This fantastic combo you can gifted at any occasion like Onam, Parents Day Birthday, Anniversary, Independence Day, Thanksgiving Gift, Friendship Day, Mothers Day and many more. 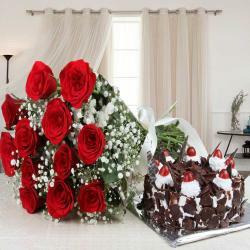 Product Consists: Bunch of 10 Red Roses With Matching Ribbon Bow Tied along with 1/2 kg Round Shape Vanilla Cake.